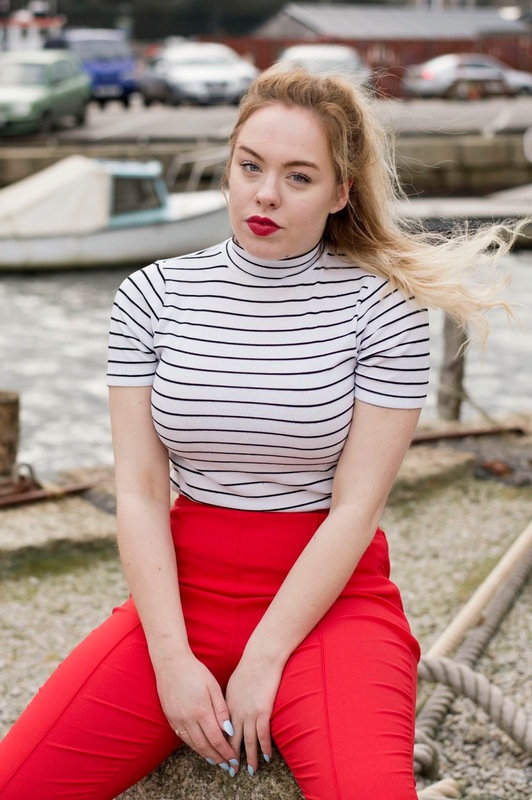 On my shoot with the lovely Katherine Mcmorran we shot some photos in the harbour in Penryn. One of my favourite trends is nautical so it seemed a fitting setting for this outfit shoot! The nautical trend is one that never goes out of fashion. The trend dates back to Queen Victoria's (obviously very fashionable) reign as the style was said to evoke national pride and solidarity. Since then the style has continually evolved from the introduction of Breton stripes in 1930s to Westwood's pirate collection and the modern minimalist stripe inspired by Chanel. My favourite way to style the nautical trend is to add a vintage twist. 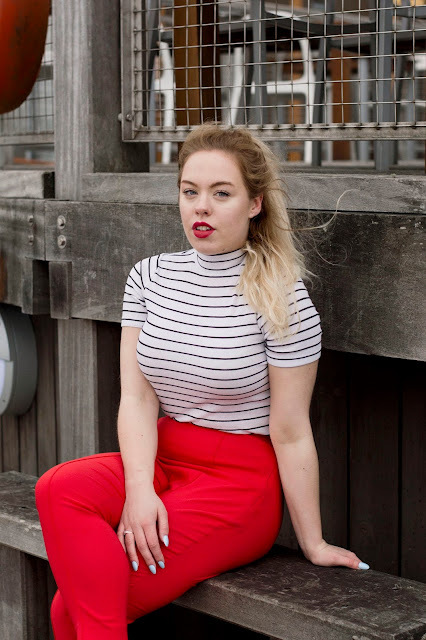 I'm a massive fan of 50s fashion with high waists and fitting silhouettes- I think its the perfect combination to mix nautical with 50s fashion! 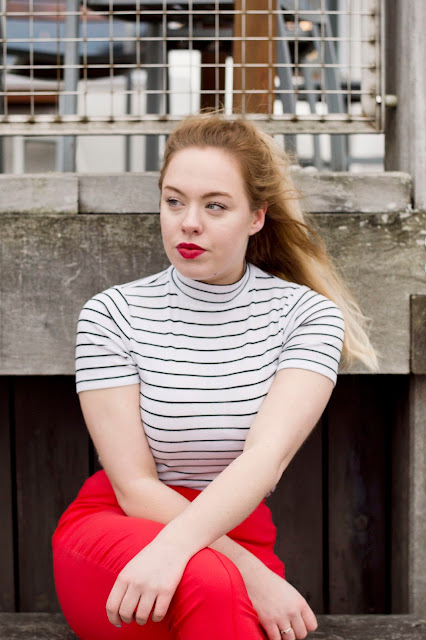 Here I am wearing striped high neck top from Primark, red high waisted capri pants from ASOS with my Clarks monochrome shoes. Thanks again to Katherine for the lovely photography! If you are facing a problem while using mouse and touch pod then you should visit here on this site.windows shortcut keys This site gives us free knowledge of windows shortcut keys.